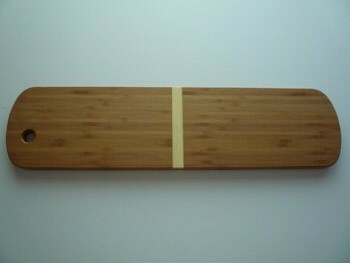 This board was designed with carmelized long grain bamboo with an inlay of natural bamboo strip. Only food-safe glue is used in assembly. Handwash. Made in China. 24" x 16".